You can export your timesheets via file download from Deputy into FlareHR. This guide walks you through exporting timesheets from Deputy to FlareHR. 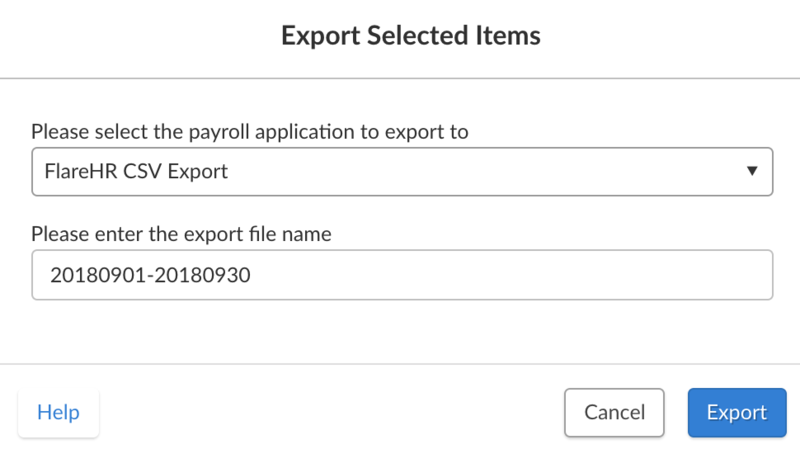 In the payroll application drop-down list, select 'FlareHR CSV Export'. Here you can change the name of the export file name. We do not advise changing this as this can mess with the payroll export. The file should look similar to the image below and is used to upload to FlareHR to complete your payroll process.